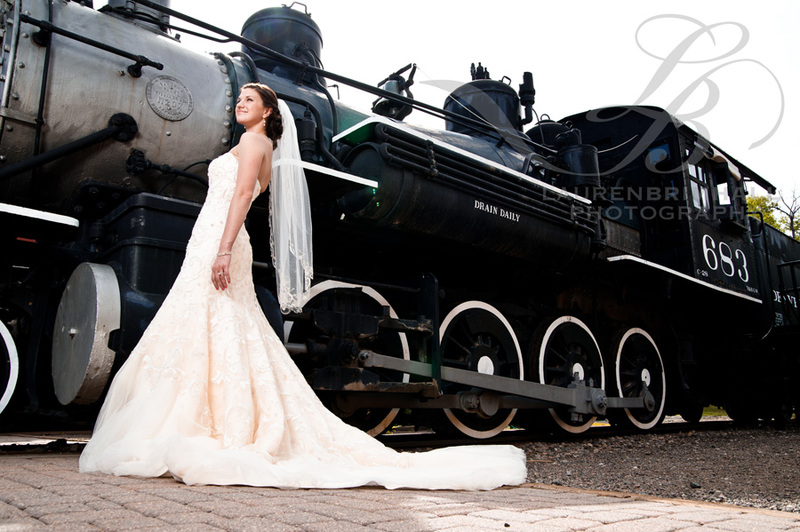 Mindy is the kind of bride we just LOVE to work with – she has the perfect array of beautiful and balanced features, from model looks and sophisticated taste to being so completely modest, fun loving, and down to earth. 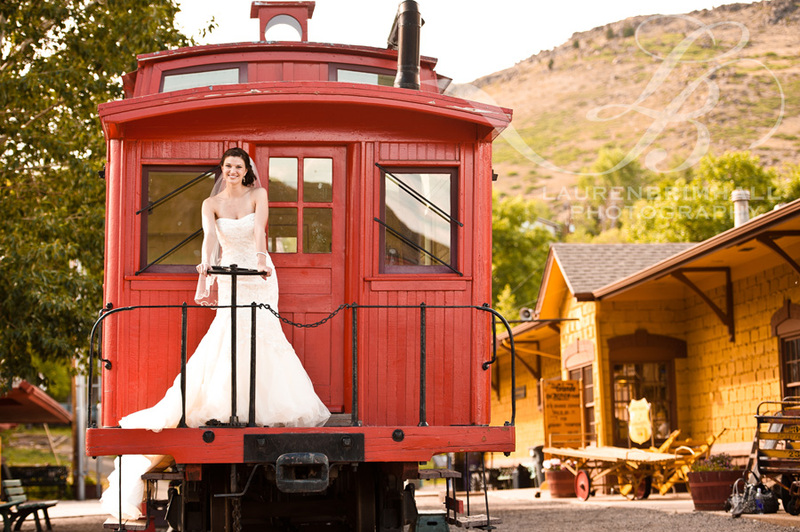 Her fiance Tyler is one VERY lucky man to be marrying her in just 10 short days at the Inn at Crested Butte, and we are some very lucky photographers to be shooting their wedding! 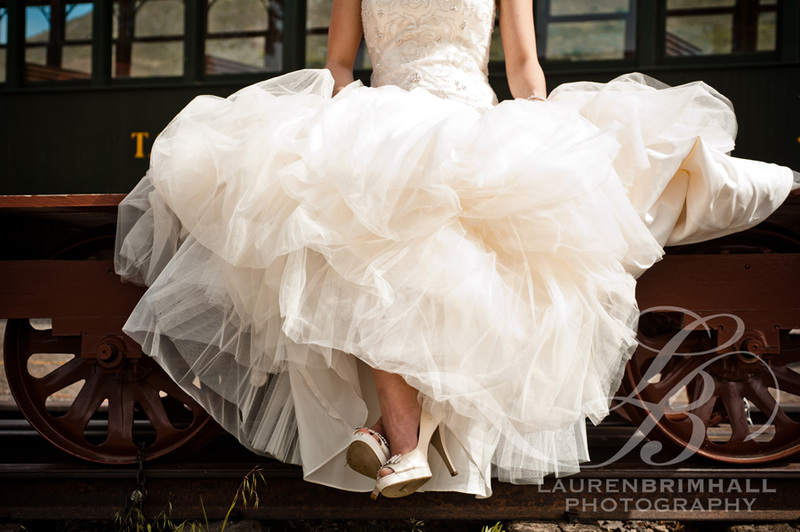 When we asked her what type of look she was going for with this session, Mindy mentioned something on the rustic side. I thought old trains might fit nicely, and would give us a much needed rest from the usual beat-down farm/farming equipment that usually dominates the “rustic” category. 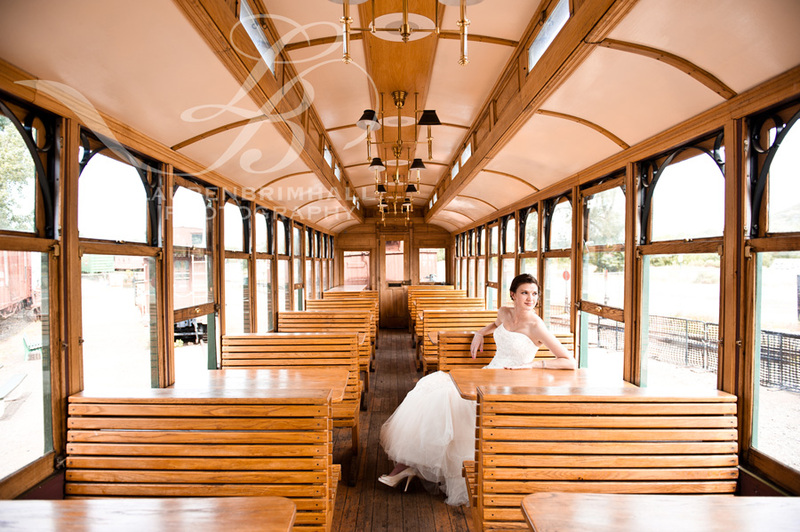 We managed to find the perfect location in the Colorado Railroad Museum, and everything came together very quickly from there! Anticipating this would be a really fun session, Sean came along to second shoot and lighting assist. I must say, when we got home and I saw his photos, I was BLOWN AWAY. 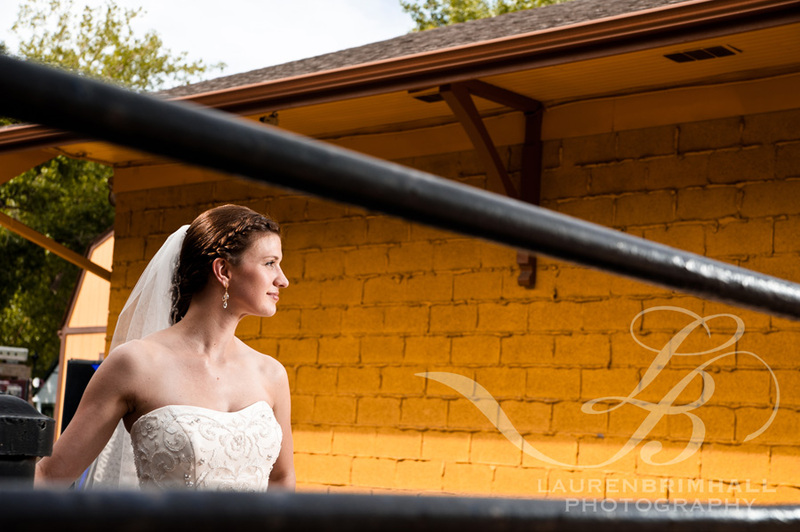 Half of the shots on this blog are his, including these next two! In spite of it being a bit early in the day, we managed to find some beautiful light, and both Mindy and her Rina Di Montello gown were just glowing in it. 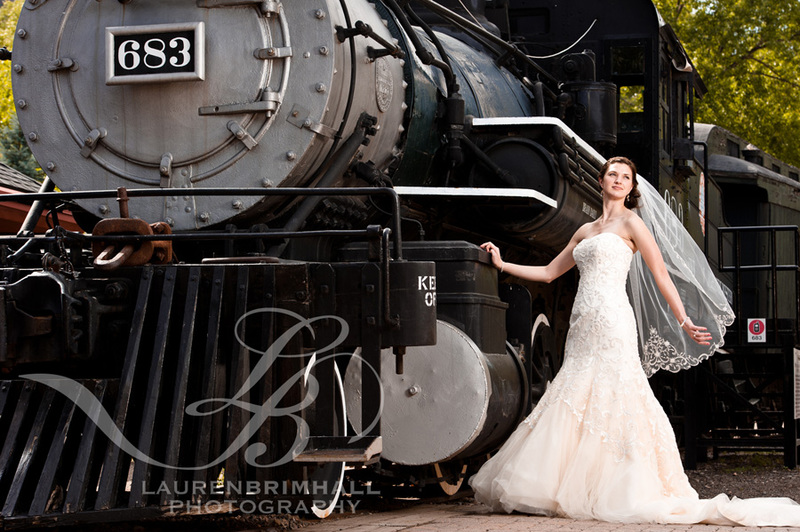 We headed over to an ominous looking black train and proceeded to set up some dramatic lighting to complete the look for the photos we had in mind here. 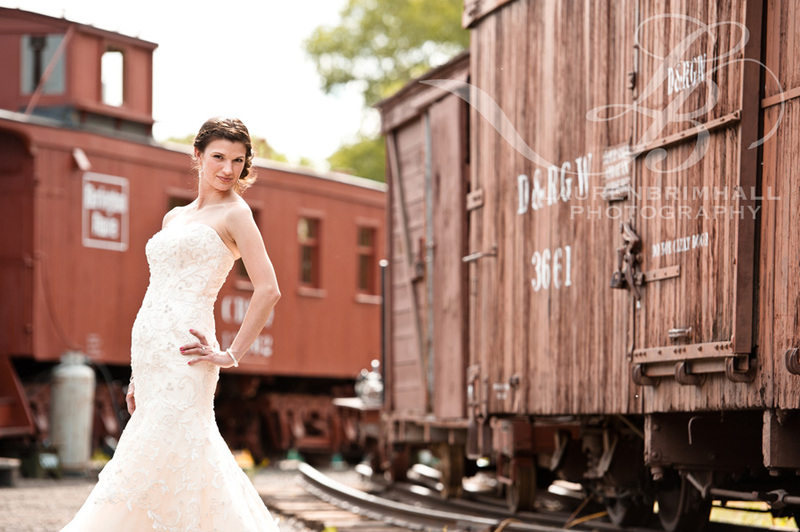 Mindy struck the perfect poses for us, and these next few photos were born! 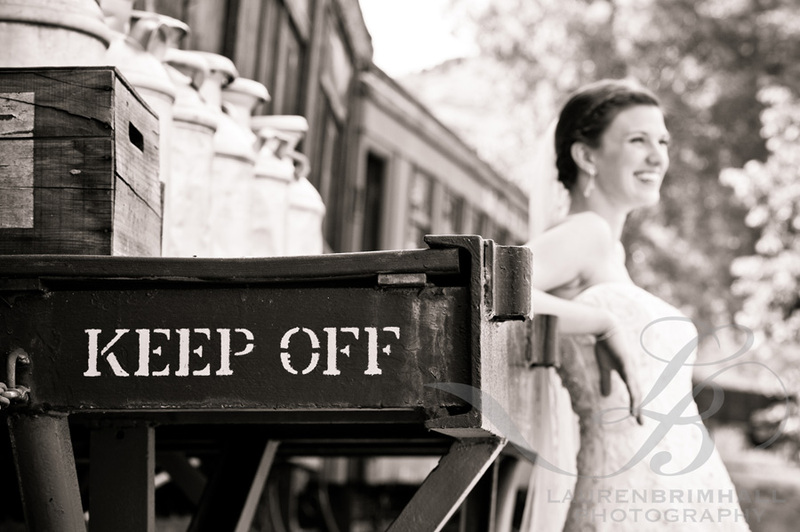 We ended the day with some fun shots by a random milk cart and on the caboose of this extremely bright red train at Mindy’s cousin’s suggestion. 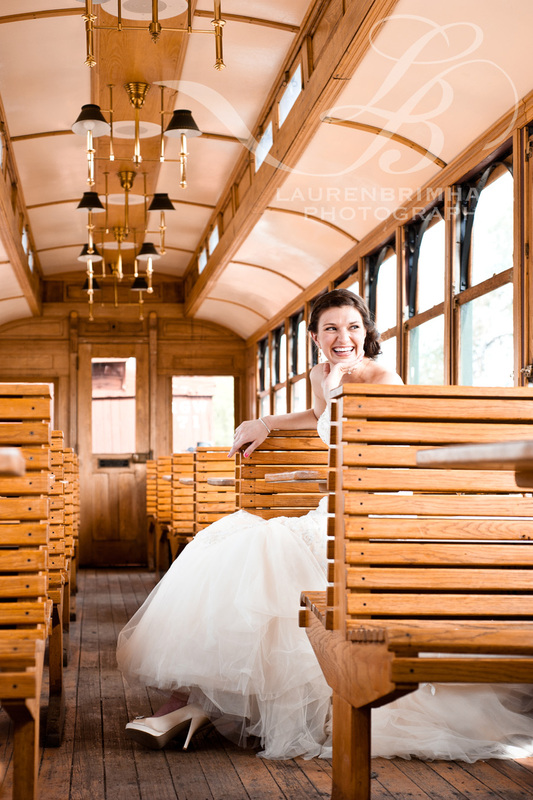 I love how it looks like she’s just riding away on the back of the train in the last photo. Mindy: shooting with you on Monday was an absolute blast! You were a fantastic sport about the dress, the heat, and even the yellow jacket that decided to make itself a new nest in the layers of your tulle – may he rest in peace! 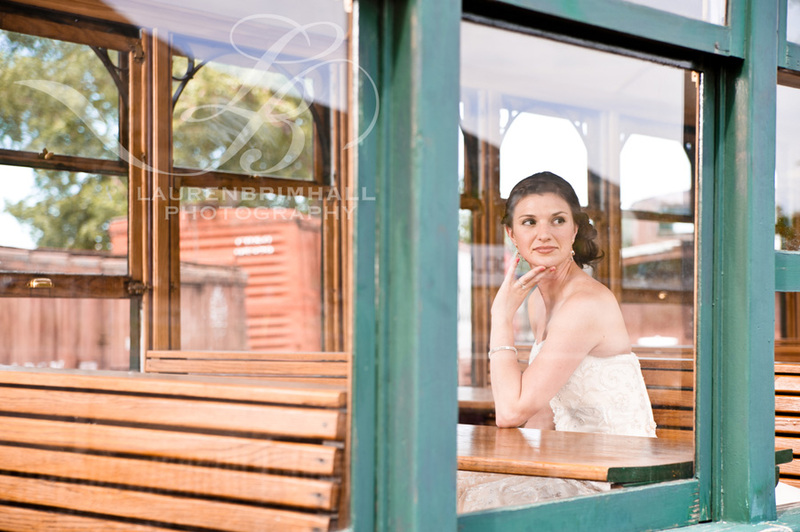 When I look at these photos I know if you had been any other bride they would not be what they are. We hope you like them, too, and absolutely can’t wait for your wedding! One of the best shoots! 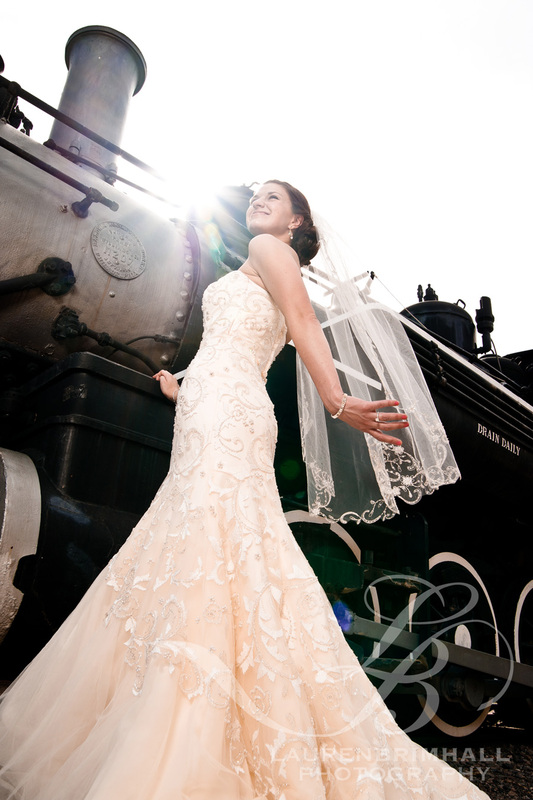 What a beautiful set of pictures for a beautiful bride! I love love love them! Thank you so much!